Is a monster a monster when it’s no longer scary? Is a thriller a thriller when the stakes are so generic that tension ceases to exist? Do a handful of well executed elements make a film worth watching? Godzilla rises from the depths with these questions protruding like the colossal reptile’s jagged scales vacillating in and out of the water. The film opens with the 1954 nuclear bomb tests at Bikini Atoll and from there makes constant allusions, overt and implied, to nuclear weapons in an effort to sustain a conversation about WMDs. A few location swaps later, we are moved to Japan where Bryan Cranston is the brilliant scientist that notices something strange is afoot, or underground in this case. Then there are monsters. The earth is threatened and in need of saving. The plot is what’s expected. Unfortunately, Godzilla is not much of thriller because, in almost slasher film fashion, you know who’s going to die to and who isn’t. 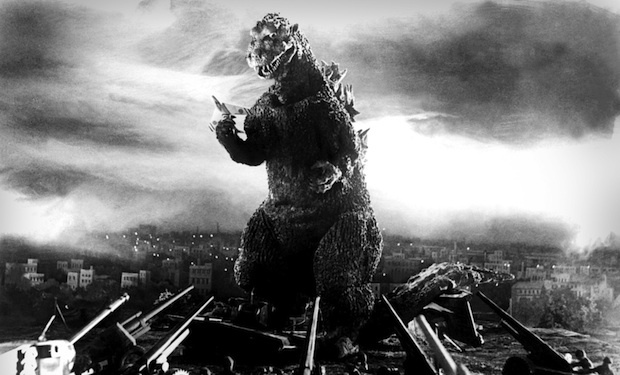 Godzilla does, however, succeed at being a well crafted giant monster movie. And I suppose that’s all that matters. The characters, while fleshed out in a sense that they have a series of desires, traumas, and identification points, are somewhat generic and at times as shallow as the Pacific is for Godzilla. Cranston’s character is interesting, but the protagonist of the film is the most boring and safe personality since Superman. He has no real flaws. He’s built around stereotypical motives that have seemingly been informed by studio metrics rightfully saying “our target audience is the white middle class family.” He’s so easy to root for that he becomes as 2D as the theater screen. While never allowed this much emotion, the new Godzilla stays close the original design. 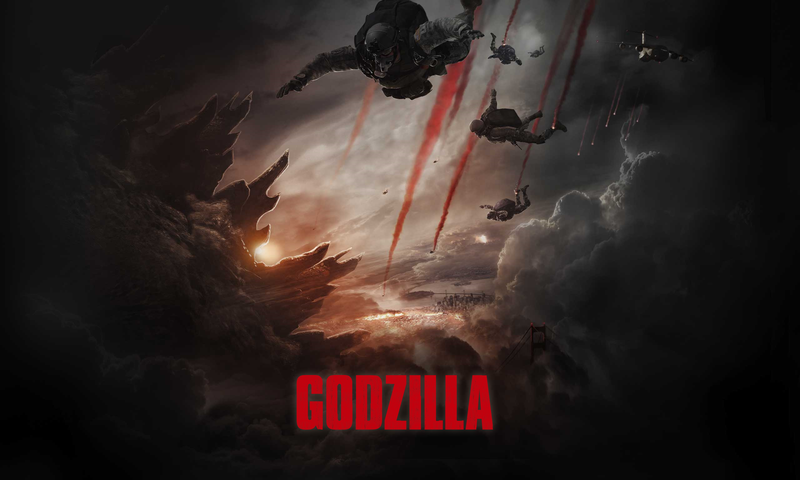 I’m not sure if this is a good or bad thing, but Godzilla is the most complex character in the movie. He’s given a natural personality, the audience roots for him, but his intentions remain unclear, representing the enigma that is nature. Nature, man, and the nuclear threat are at the core of the film’s thematic revolutions. To this end, windows plays a pivotal role within Godzilla’s image system. Traumas, disasters, and loss are held behind the visage of glass, simultaneously providing characters and the viewer access to, and alienating them from, great horrors. This glass-work is some of the movie’s most thoughtful commentary, aligning the characters’ inability to deal with particular traumas with film goers’ estrangement from catastrophes like Hiroshima. The man who’s got me excited for 50 Shades of Grey The Movie. The true star of this motion picture isn’t the giant Iguana or generically written pretty boy. The film’s heart lies in Seamus McGarvey. Who the hell is Seamus McGarvey, you ask? 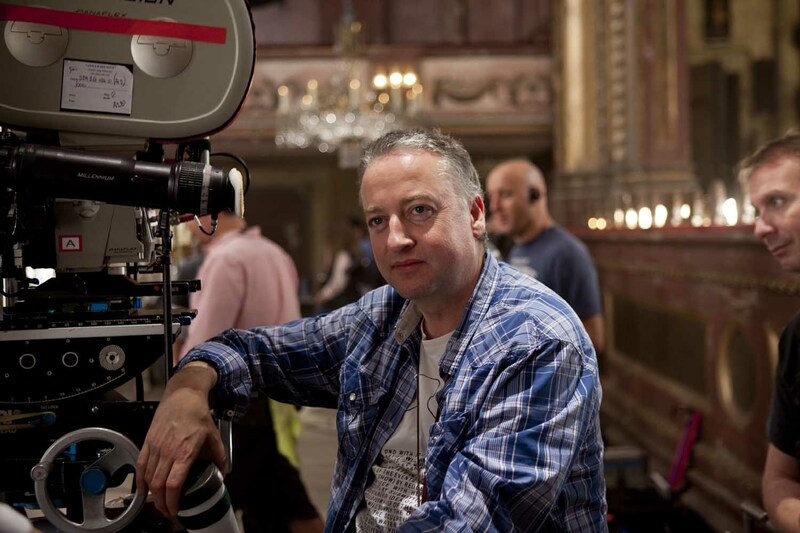 He’s Godzilla’s excellent cinematographer, the DP for 50 Shades of Grey, and a man who’s talent really only becomes apparent during the third act of the film. Before then, we see a few beautiful juxtapositions of Man as specks against nature’s backdrop or Godzilla’s ridges sharkfinning from the ocean in conjunction with the drifting of clouds. The volta, or turn, into some impactful photography gets catalyzed when the Kyrie from Ligeti’s Requiem (which apparently wasn’t created by Foley artists whipped by Stanley Kubrick for the making of 2001: A Space Odyssey) rumbles from the speakers. This complex of interlocking tones makes for a sound that is beyond us, indigestible. Kubrick’s eclipse is recreated at this moment and Godzilla is reborn, the film evolves. The cinematography that follows is Sublime, in the arresting sense. It’s as if McGarvey suddenly woke up a new man 3/4ths of the way through, an intensity of creative energy pouring into his craft. It’s this mixture of artistic direction and photography coupled with a highly affective score that reminds us why the silver screen is still relevant. All in all, Godzilla is a competent reboot, offering up what you want and expect. Some might be bothered by the restrained use of the title character, but it’s tasteful and finds power in under-exposure. The monster scenes may end up disippating from memory like flare smoke, but McGravey’s HALO shot should be forever captured in our minds, showcasing humanity’s insignificant position as we fight to remain unconsumed by a chaotic beauty, by Nature and our own nature.